Do you have any plans for the upcoming summer vacation? Most students will want to take a good rest, relax, and do nothing. I used to be that kind of student, but last summer, I chose to have a different summer vacation. I served as a Teaching Assistant (TA) in a special activity at school, the Intensive English Course. I learned many things from this activity that made my summer vacation really meaningful. 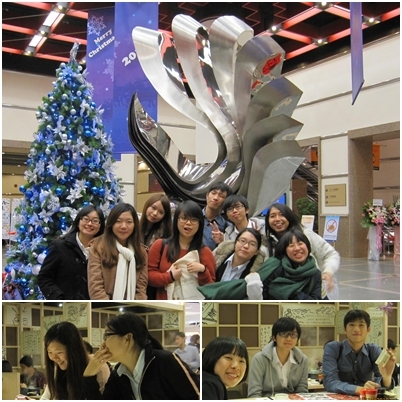 The Intensive English Course is sponsored by Taiwan’s Ministry of Education and is hosted in central Taiwan by FCU and Providence University. The purpose of this course is to help students make progress in their English learning, especially in business English. 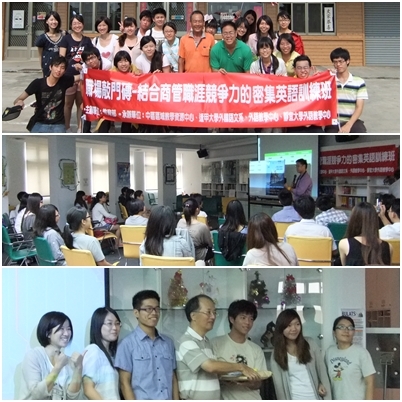 It was a four-week-long course held in August. The students who participated in this course were all at English skills level B1; the goal was for them to improve to level B2. Being a TA in this course was an interesting experience because I had never done such a thing before. Most of the time, I play my role as a student, but this time I had the chance to experience walking into the class as a TA and helping the students and the teachers. However, what made the summer vacation so meaningful was not the role I played, but the things I learned through playing this role. The first thing I learned was how to interact with strangers. The first time I stepped into the classroom, all I saw was unfamiliar faces! If I were a student, I would have just found a place to sit and waited for the class to start. I didn’t do that because I was the TA – I was supposed to help teach the students! Therefore, instead of sitting down directly, I introduced myself quickly and tried to learn more about the students. The second thing I learned was the focus of this course---business English skills. Although I couldn’t focus entirely on learning the content of the course (since I had to spend a lot of time taking care of the students in my group), I still learned how to do a good presentation and how to write an effective business letter. The third thing I learned was how to solve problems. Since this was the first time that FCU had hosted this kind of course, some unexpected things happened. For example, some students had trouble adapting to different teaching styles. We TAs had to communicate with the teacher and try to figure out what we could do to help the students in our groups. Another unexpected thing happened during the last week of the course. Most students were exhausted from studying so hard, and they often fell asleep in class. Therefore, the TAs had to motivate them and encourage them. While I learned many things during this Intensive English Course, there was one thing I didn’t notice until long after the course had ended and I was at a job expo held by the ESOL Examination Board. All of the students and TAs from the Course were invited since all of us were then above the B1 level and had taken the BULATS exam. At the job expo, I discovered that during the Intensive English Course, I had made a group of new friends who enjoy learning English as much as I do! Although some of us did want to find a job, the job expo turned into a kind of classmates’ reunion. Maybe we will even have a chance to work together in the future! The Summer Intensive English Course is a great activity to join during summer vacation. As a student you will be able to improve your English skills, and if you are a TA, you might learn a lot of other things, too. Don’t feel bad if you missed last summer’s course; you will have another chance this summer! Check the FCU Language Center website often for information about this and other Language Center activities.